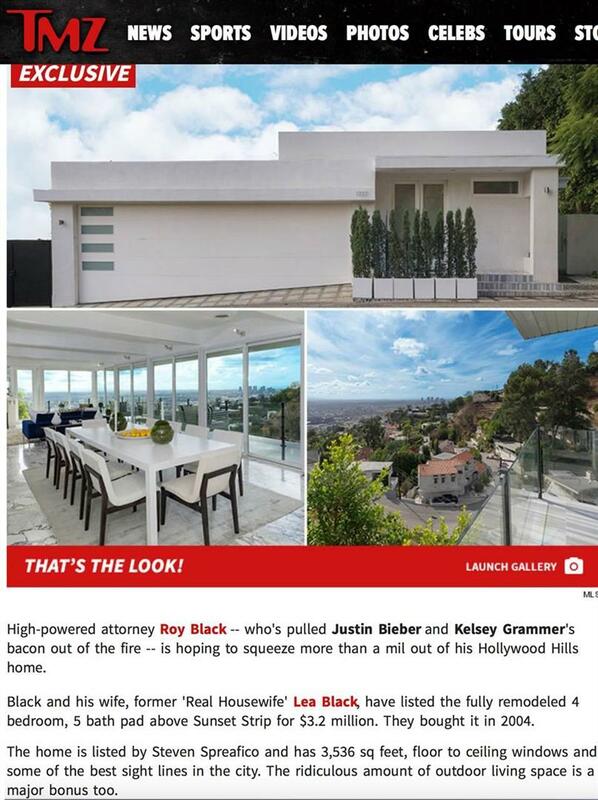 & Beverly Hills Real Estate Broker! 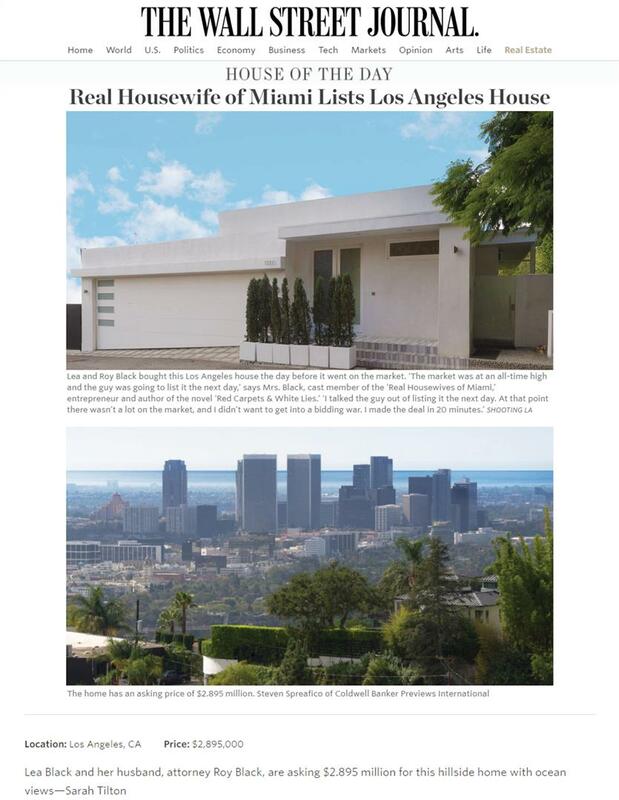 West Los Angeles real estate in hi end home sales! 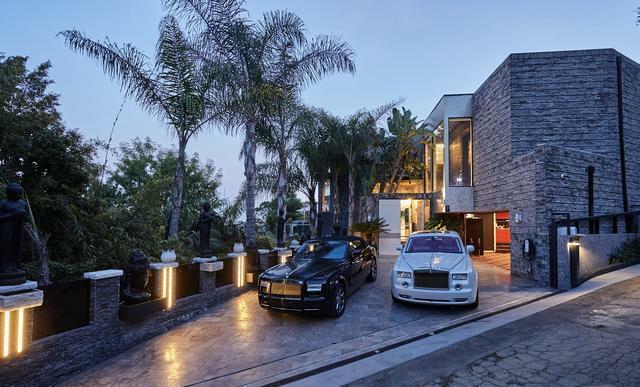 Specializing in the Bird streets, Hollywood Hills, for 30 years. 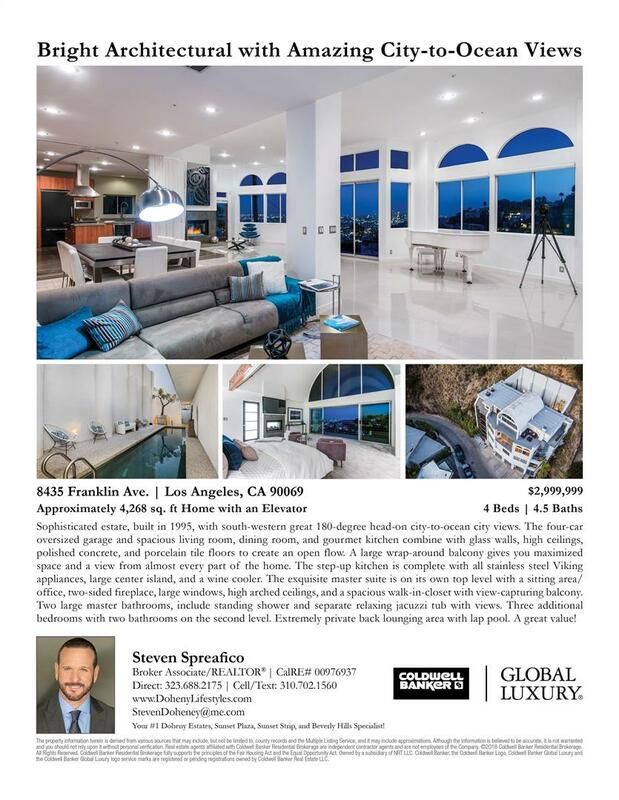 Click on link to see pictures of 7866 Fareholm Dr.
Click on link to see more pics & info on 8445 Franklin Ave.
Pocket Private Listing: 8356 Sunset View Dr.
STEVEN SPREAFICO is an award-winning top-producing Real Estate Broker with 30 years of experience. 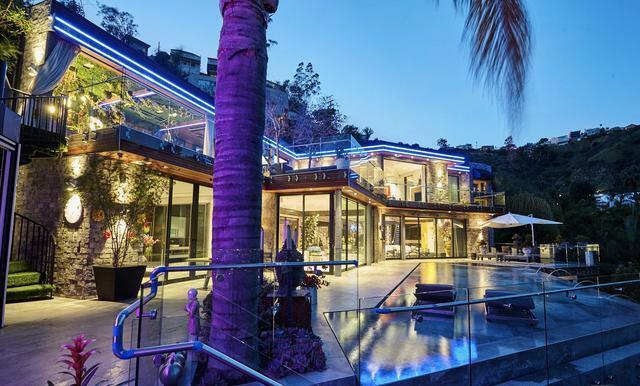 His areas of expertise include: Hollywood Hills and the exciting Sunset Strip, Doheny Estates, Sunset Plaza Drive, Beverly Hills, Bel Air, Malibu and the West Side of Los Angeles. 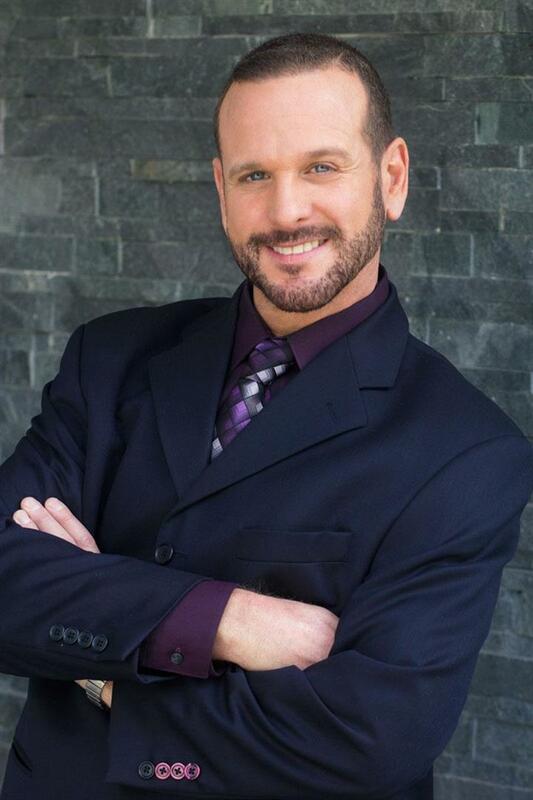 Steven’s unsurpassed enthusiasm for the Real Estate industry along with his bright smile and energetic personality has earned him the respect of his neighbors, celebrities, homeowners, investors and Real Estate professionals alike. 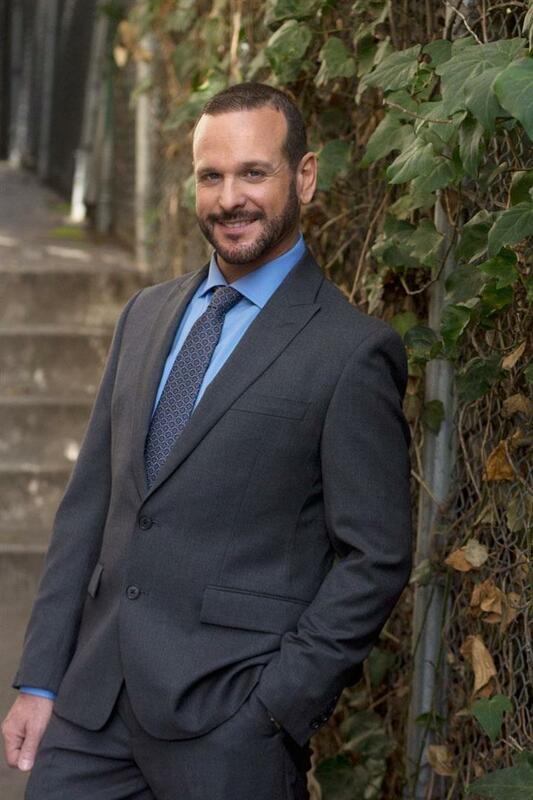 Steven is a “house matchmaker” made in Heaven. 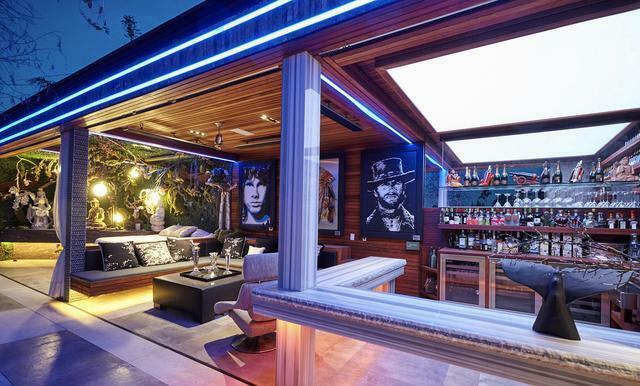 He has personally visited each home and is well-known for his door-knocking up and down the Sunset Strip and throughout West Hollywood, qualifying him as a specialist in the area. 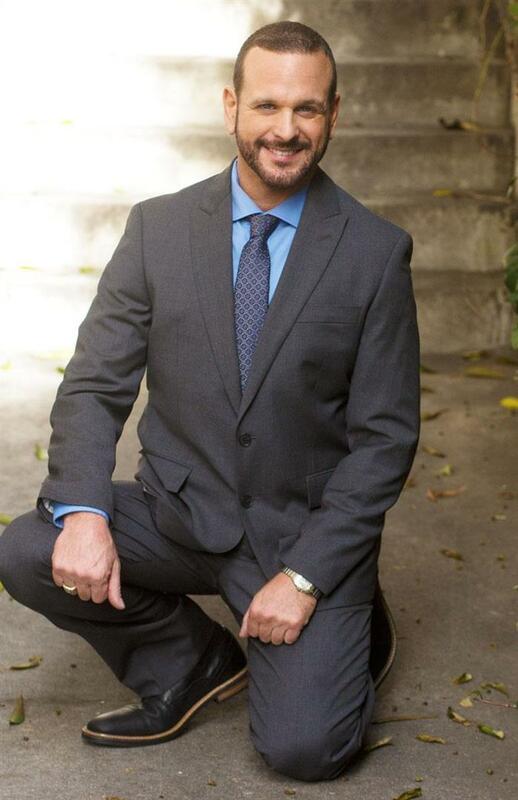 He knows the inventory and has a keen knowledge and insight into Real Estate values and pocket listings (homes not yet on the market), which is the goal to finding the hidden gems in the market. 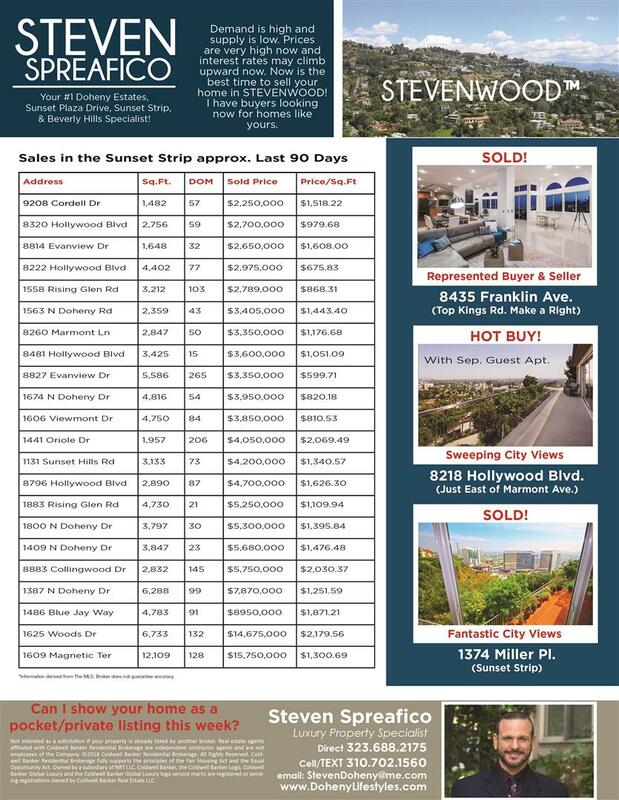 Steven has sold homes both large and small, for families seeking the Hollywood Hills city view pad with a brite pool or the Beverly Hills flats lifestyle, close to all the shopping and dining or for those looking for just a pied a terre who do not reside in Los Angeles full time. 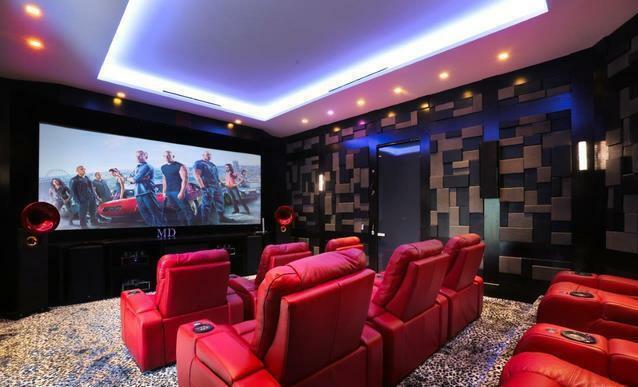 People say there is no more hard working realtor who also understands, the current economic conditions, influences of New York and Europe, combined with supply and demand and interest rates, to determine your most suitable route and options for all your real estate needs. 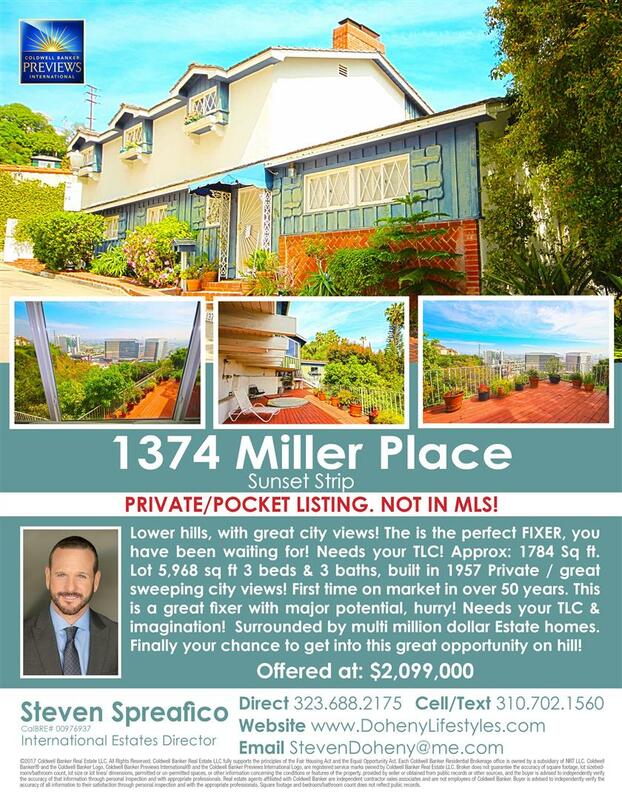 Steven is an expert in determining your needs & goals!You can set up a FREE meeting with Steven Spreafico by calling him directly at 323 688 2175. 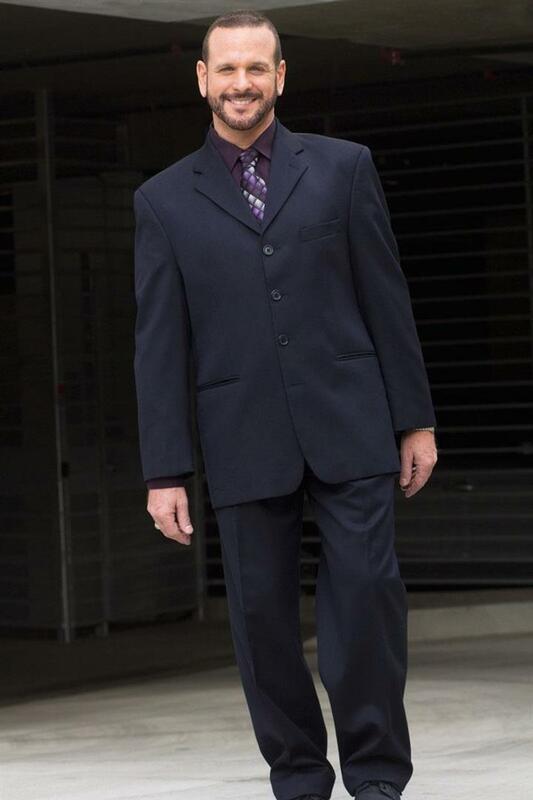 Steven will step by step to walk you through the necessary channels, to make your move, & investment into your personal or business life adventure a fun challenge and a quality experience that you will never forget! 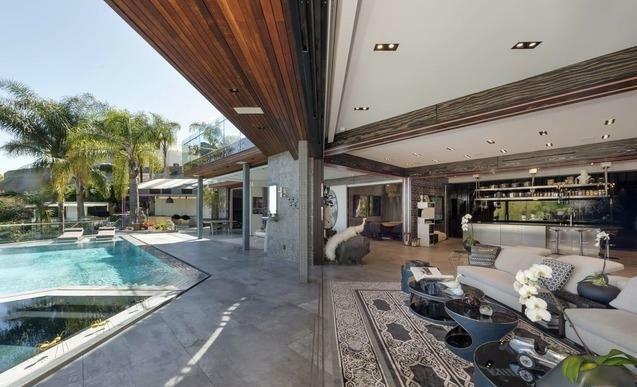 of West Hollywood through Beverly Hills to the ocean. 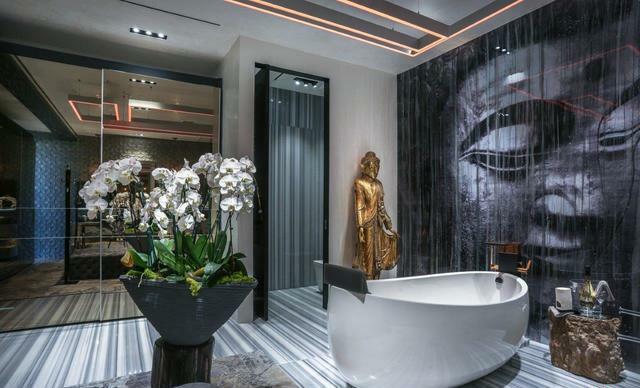 and usually becomes great fiends with his clients traveling the world! and the most prime real estate in the world. 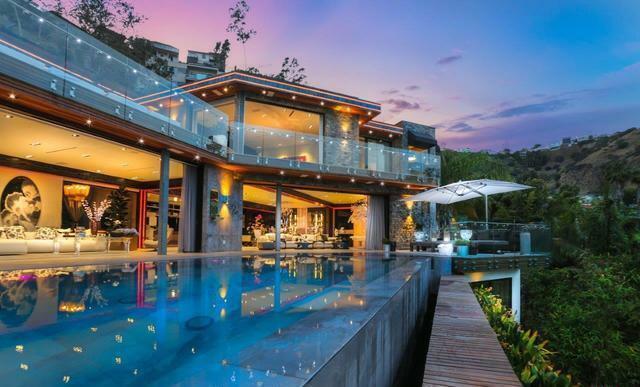 Steven has the ability to send slide show pictures of your home to our global arena and with Coldwell Banker’s 3800 offices in 47 countries, your homes exposure will be quite significant. 80% of Buyers are shopping on line. 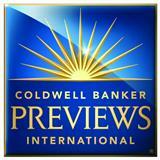 The worldwide name of Coldwell Banker, coupled with the estates division, Previews, is a difficult combination to beat. Our affiliation to CaliforniaMoves.com, coldwellbanker.com, ColdwellBankerPreviews.com, Realtor.com, NYTimes.com, OpenHouse.com and our relationship with Google, Yahoo, @ Trulia, is like no other company.We have a separate architecturally division also. 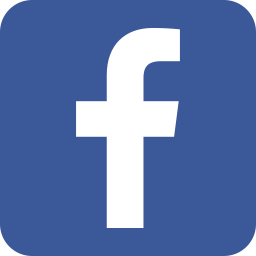 Our marketing skills and resources are superlative and unsurpassed like no other. 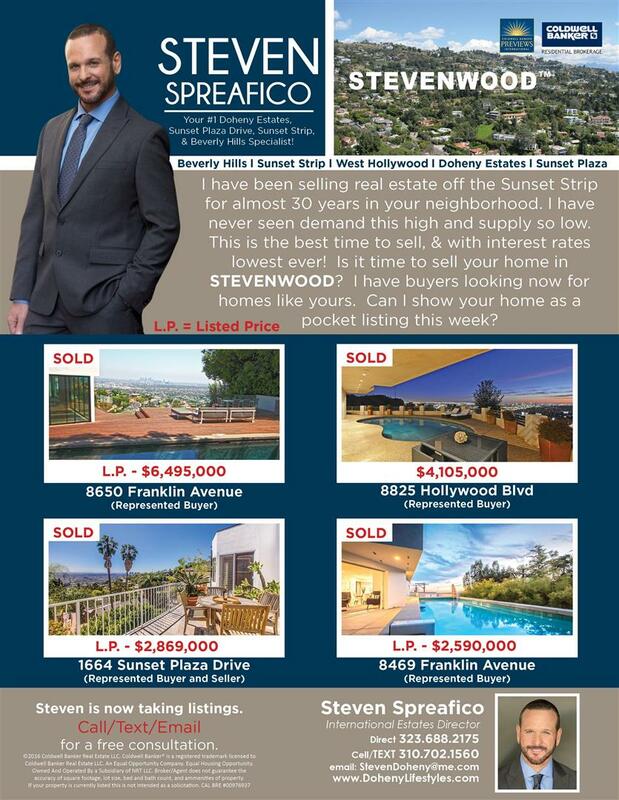 Steven Spreafico Estates Director is a Hollywood Hills Real estate agent and also a Doheny Estates real estate agent, Sunset Plaza real estate agent and Sunset Strip real estate agent specializing from one end of Beverly Hills real estate to the others. 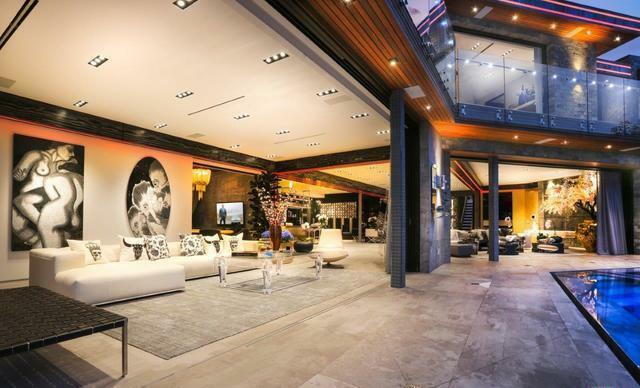 Bel Air real estate is also one of Steven's favorite hangouts. Steven is also a Broker. 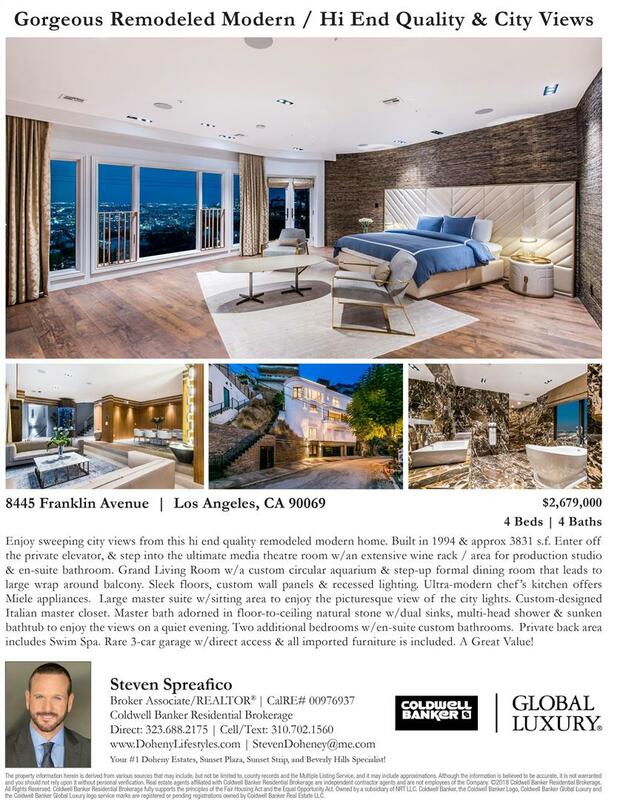 Steven is a top award winning Doheny Estates realtor, Sunset plaza realtor, Sunset Strip realtor, Laurel canyon realtor, Nichols canyon realtor, Outpost Estates realtor, Hollywood realtor and top Hollywood hills realtor. 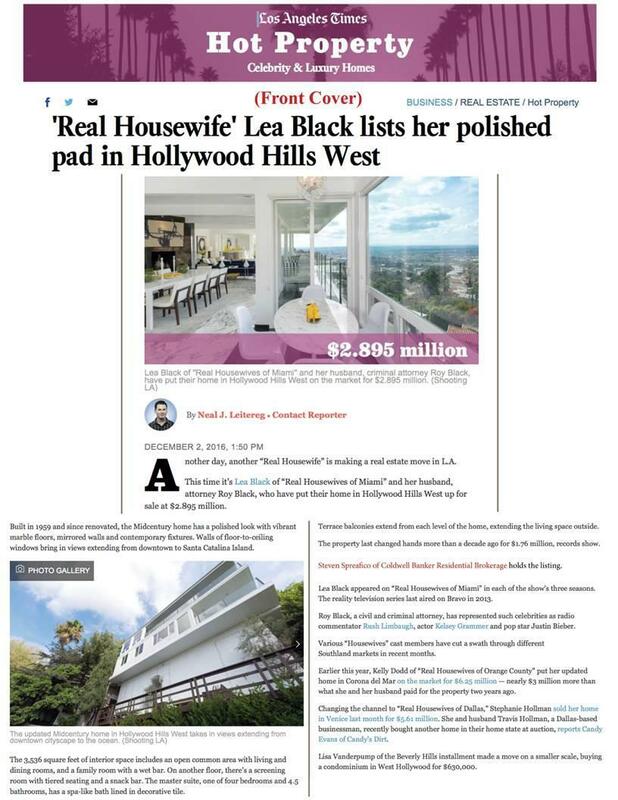 There are many Sunset Strip properties, Doheny Estates properties, Sunset Strip properties, West Hollywood properties, Laurel canyon properties, Nichols canyon properties, and Outpost Estates properties , and West Los Angeles properties for sale.